What would you do in an afternoon, when as a bicycle owner and rider, the hubs, spokes and spindles are destroyed? Certainly, if you keep dragging the spoiled bicycle, more parts would be destroyed. Certainly, if you decide to park it because you are tired and leave it behind, you will be left dispossessed. Certainly, if out of laziness and lack of courage and creative determination, you say “the sun is much, let me rest till it sets” before either going to repair it or continue dragging it along in order to complete the journey. Then you will be torn by fatigue or arrive at the repairer's quarter when he has closed for works. Certainly, you may either arrive late or never make it as you planned. The Imo PDP and its politicking today are like the faulty rickety bicycle of the once agile sportsman, who has become entangled in self-situating quagmire. This allusion makes the PDP party affairs the bicycle, while the owner and rider remain its party members and leaders. Its operation, methodology and approaches to emergent daily challenges in the State are not suitable for taking the Party to its aspiration and targeted end. Good soldiers when fought and defeated, retreat and reinforce for decisive onslaught and assault thrice fiercer than the opponents used to defeat them and thus get freedom. I read dispassionately the revelation of Nze I.M.O Umunna in the Trumpeta; August 22, 2013 and was startled by the truths and facts from his pathological approach to the stagnancy in PDP political achievement in Imo State. It takes a man of good conscience and courage, a man with the guts to constructively criticise a family whose strong pillar and member he is. Yet, I feel very sad that it took him almost a decade to make up his mind for such revelation that the contemporary PDP in the State must chew in other to attain the desirable heights that will permit it to self-repositioning and recovery of its former leadership of the State. The Imo PDP today is like the human kingdom, that St Augustine of Hippo said must rot away and will never stand forever like the City of God. From all indications, a strange entity perhaps an unidentified object hovers around the Party's wellbeing and is frustrating all its efforts and needs to rebuild itself. There is need for exorcism on the Party as it is possessed by a strange demon that was never in its formation before and that instils laziness, levity, laxity and lethargy in its leadership and perspectives about realities. It obviously lacks unique focus and objective; some of its members have turned it into nightclubs activity, into free manner and inconsistent dancing methods. It is very painful to struggle for survival and greatness without ever making it, and most painful when one has made it and later falls down to the base. The Imo PDP as a universal body has no focus and lacks continuity and stability. It has instead become a platform where like in the Primary School PE, pupils play the “onye kwuru oto mgbatuo ya makana mu bu Eze na-akwu oto”- whoever stands, I will brush down because I the King am standing. The “I” here becomes individualised into sectional “we” and “whoever” becomes “they” and the “not us.” Once each I or we stands, the rest becomes human resources whose services can be bided, and other members who wish can be engaged into doing patchworks of assorted types, a freelancing membership contribution. To this effect, the Party lacks general focus, purpose, goal and aim, and above all treats with levity political matters (no matter how serious they are) that concern a sectional we or I in the Party that does not belong to the privileged clique, cabal and “significant we” or is of no interest to them. It is this self-interest, which runs contrary direction to the tide of general political interests and goals of the Party that kills the Imo PDP. By this, the Imo PDP adapts a capitalist approach to management and politicking, oblivious of the fact that the common, the communal is the basis of synergy, which power possession entails. Of a truth, the Party needs to stand up manly, with sophisticated political arsenals and strategies that will not only help it stand firmly to tackle the challenges facing it but also surmount and conquer them, and therein reposition itself. Egoism as the Party has finally resorted to, makes the Iroko and never a forest, it builds up the fittest to survive all odds and thus frustrates collective conscience and vision. Certainly, in its individuality, the Imo PDP members are up and doing, but the constant bickering and diversification of interests, builds no political might, and as such the Party falls below expectation. This problematic is heightened with the fact that its Imo Chapter's leadership has not been able to harness its vast resources and form a synergy for affronts on oppositions and challenges that confront it. It is not enough to reshuffle the leadership as many would suggest but there is the need to evaluate every bit of details, events and circumstances that led and still drag the Imo PDP to its present backwardness. Has the Party leadership been able to present strategies for self-repositioning, for reconstruction and rebuilding of the house invaded by the political vandals? Of a truth, politics is a game, and manoeuvring and garnering of means and might are obliged, and every opposition party has two major aims as regards this: Self-success and the depose of the opponent. Eze Duruiheoma and his Excos have these as leadership challenges that must be confronted with due equanimity if the Party must survive as its leadership boasts to be on it. It has absolutely done nothing substantial, significant and worthy of praise so far as seeing is believing. Are Hon Uwajumogu and his co-decampees not still heading the APGA-led Imo House of Assembly while they were obviously PDP members? Surely APGA was afraid of opposition in the State and to such effect manipulated the decamping, knowing fully well that its opposition- the Imo PDP, was gradually becoming a toothless barking dog. Were the duly elected Local Council leaders not dismissed in broad daylight, what has the Party done substantially as a unique body about it till date? What of the deposed Chairman of the Imo Traditional Rulers (who was adjudged a PDP sympathiser and thus denied his status; even as the Court has reinstated him?) What of the Oguta State Constituency that has remained vacant with only a 3 months occupation by the PDP winner of the seat? All these are realities of inefficiency on the PDP leadership and Imo Chapter's structure, which like the pregnant woman in her ninth month, treats with levity and indifference every family chores, not because she does not know of them but being fully aware of being unable and unfit to handle them given her present situation. The Imo Chapter of the PDP needs assistance, whether it comes from family members or neighbours, it needs 24 hours assistance and cooperation of all the members of the Party at its various levels, and should not be left alone for the Executive officials. Consequently, the best solution to these quagmires is not to lance a holistic overhauling alone on the Party structures, but it must touch as well its modalities of operations, strategies, mechanisms and ensure the total elimination of the individualistic purview of political might and party progress that has raided the Party's mindset. 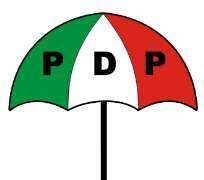 What happened to it in 2007 was a mere whirl-wind, the tornado came in 2011, and unless it stands up to efficiency and jettison vainglorious pursuits, the typhoon will come in 2015, which will make the Imo PDP an extinct specie of mankind in the history of politics in the State. There is thus the need of urgency in this overhauling and necessity in calling home and reconciling all aggrieved members of the Party in order to survive the impending disaster. Every visioner, ideologue, critic and planner must be assembled for this overhauling for self-repositioning in the Party, if not, PDP will permanently loose its hold of power in the State as it is in Lagos State and some South-West States of the Federation. This season is its last chance. Disclaimer: "The views/contents expressed in this article are the sole responsibility of Nathan Protus Uzorma and do not necessarily reflect those of The Nigerian Voice. The Nigerian Voice will not be responsible or liable for any inaccurate or incorrect statements contained in this article."